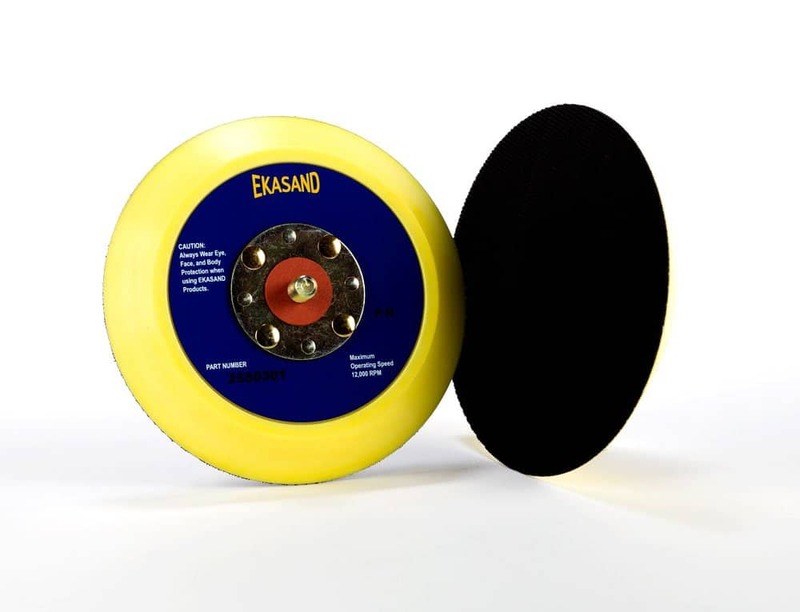 Tapered pads are a urethane molded pad that is firm enough for sanding flat surfaces, but is soft enough to sand curved surfaces. It has a heavy duty, riveted composite hub for extra strength. The pad is available in PSA (sticky back) or Uneevel (hook and loop) and is standard with a 5/16 x 24 thread size.